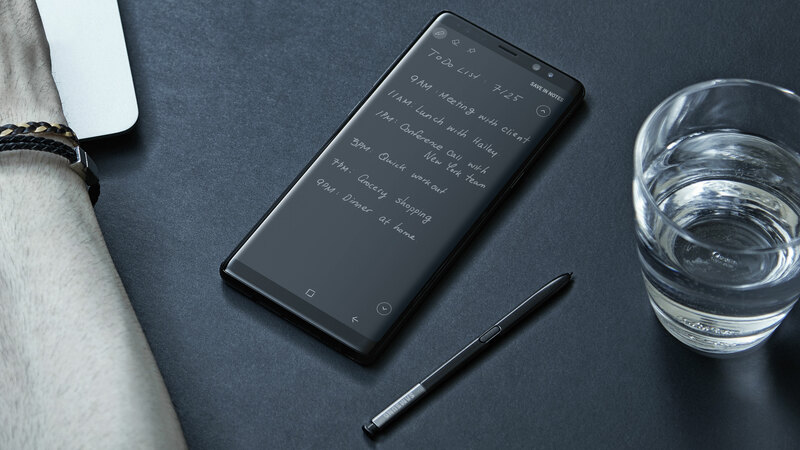 With the Samsung Galaxy Note 9 only weeks away from its official August 9 reveal, the leaks purportedly showing off the device have started to increase dramatically. Following the official-looking yellow S Pen leak from earlier today, some new images have been shared by a Chinese Twitter user which reportedly show a switched on Galaxy Note 9 handset for the very first time — its boot up screen allegedly indicating which device we’re looking at. The pre-release handset (which is somehow already sporting some gnarly scratches and cracks) looks almost identical to last year’s Galaxy Note 8 from the front (save for what appears to be slightly slimmer bezels), backing up previous reports on the design of the phone’s face. On its rear, the images show how the Note 9 has allegedly revised its camera and fingerprint scanner placement since the Note 8, with the scanner now sitting below the lenses rather than right next to them. You can get an eyeful of the leaked images below. They may not show the supposed Galaxy Note 9 in the most flattering light, but at least we can expect to see some great, high quality images as soon as it’s officially unveiled.